What to do if you are still not satisfied with the medical report? Seek legal advice from our Los Angeles workers’ compensation attorney to find out how to obtain treatment from a doctor outside your MPN. Home > Blog > What To Do If You Don’t Agree With Your Doctor’s Opinion In A Workers’ Compensation Case? On behalf of Koszdin, Fields, Sherry & Katz posted in Workers Compensation on Friday, March 30, 2018. No, doctors are not always right. Everyone can make a mistake, including your primary treating physician. The problem is: if a doctor’s medical report does not reflect the extent of your injuries or fails to prescribe adequate or necessary medical tests or treatment that you have to undergo after your workplace injury, it can severely hurt your workers’ compensation case. If you have made at least a couple of trips to doctors’ appointments in your life, you probably know that different doctors have different opinions. That means some physicians get it terribly wrong when it comes to determining the cause of your injury, prescribing the medical treatment to ensure your recovery, or even giving you advise on what type of work it would be safe for you to do while recovering. Any medical errors or mistakes made by your primary treating physician or other doctors assigned to handle your workers’ compensation case can not only negatively affect the value of your compensation for an on-the-job injury, but also slow down the recovery process or even aggravate your existing injuries. If you do not agree with your doctor about the type of medical treatment that you need to undergo, our Los Angeles workers’ compensation lawyer assures you: you have a right to challenge the medical report and get another opinion from another medical professional. How to do that depends on whether you are being treated within a medical provider network (MPN), a health care organization (HCO), or neither. How to change a doctor in a workers’ compensation case? If you are being treated in an MPN or HCO in Los Angeles or elsewhere across California, and you disagree with the treatment prescribed by your doctor, switch to another doctor within the MPN or HCO. If you are receiving medical care in an MPN as a result of your workplace injury, inform your employer or insurance company that you would like to switch doctors. If you are being treated in an HCO, on the other hand, you can request the HCO to change your treating doctor, and the HCO is required to provide you with a list of new doctors within 5 days. But just switching the doctor does not always mean that you will get a medical treatment you are hoping for or deem to be necessary for your condition or injury. What to do if you are still not satisfied with the medical report? If you are receiving care in an MPN, you can obtain opinions from up to two more doctors within the MPN. You are required to see these doctors within 60 days after you have received a new list of physicians. Failure to meet the deadline may result in the loss of right to obtain another opinion about the prescribed medical treatment. 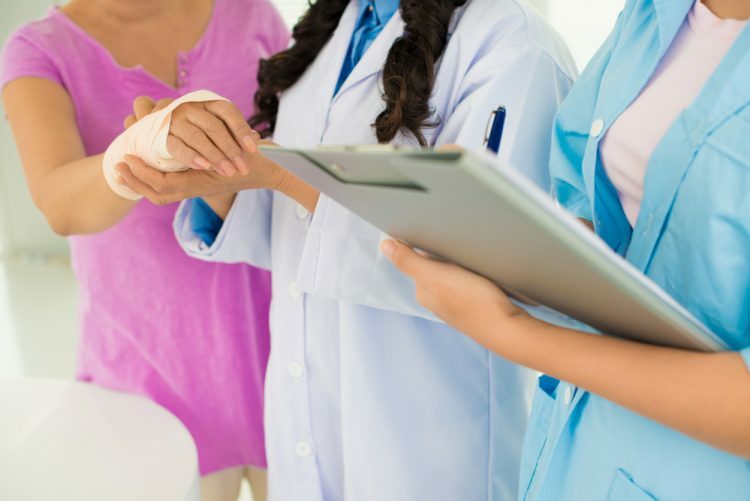 If you do not agree with the opinions of these three new doctors within the MPN, consider requesting an independent medical review through the Division of Workers’ Compensation (DWC). Seek legal advice from our Los Angeles workers’ compensation attorney to find out how to obtain treatment from a doctor outside your MPN. If you are being treated in an HCO and you disagree with the opinion of your new, switched doctor, you can request another opinion from a different physician within the HCO. If his or her opinion does not satisfy you either, consider asking the HCO to perform its “expedited grievance procedure” conducting a thorough review of your case within 30 days. How to obtain another treatment if you are not being treated in an MPN or HCO? If you are being treated by a doctor outside of an MPN or HCO, and you want to challenge the medical treatment prescribed by that doctor, you can change your doctor to see if he/she has another opinion about your injuries. Inform your workers’ compensation claims administrator in a written form that you do not agree with your doctor’s opinion: if you are represented by an attorney, send the letter within 20 days after the medical report has been issued; if you are not represented, send the letter within 30 days. The claims administration will then help you obtain a medical opinion from another doctor. Being represented by a lawyer from the Koszdin, Fields, Sherry & Katz law firm can speed up the process and ensure that you receive the medical treatment that both (1) you deserve and (2) will help you obtain workers’ compensation benefits. Contact our attorneys for a free case evaluation. Call our officers at 818-812-5639 or (toll free) 800-747-3447 or complete this contact form.